What would you say if I told you that it is possible to get into Disneyland an hour before everyone else? Okay, not everyone else, but before the general public? Sounds great right? Well, “start churning butter, and put on your church shoes… cause we’re about to blast off!” That is right, I am not only going to tell you HOW you can get into Disneyland or California Adventure an hour early, but I am going to give you the best tips for making the most of that time. 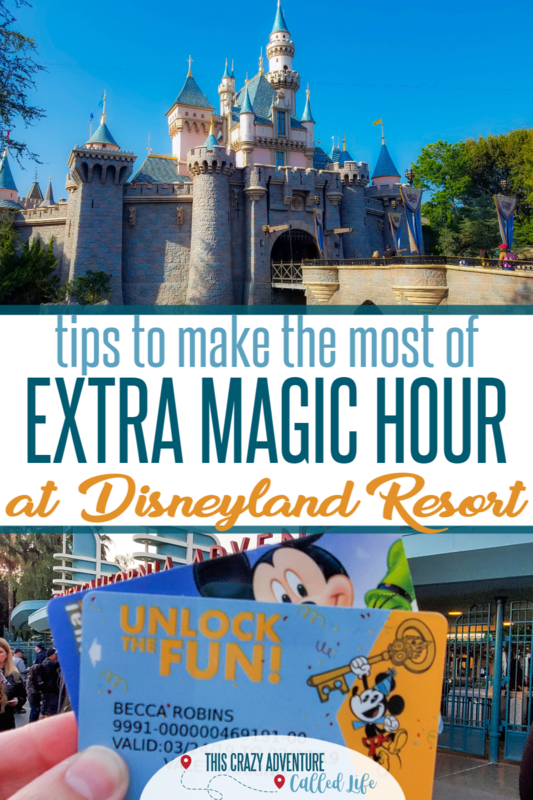 That is right, I am sharing all of the insider tips for Disneyland’s Extra Magic Hour and Magic Morning. Disneyland has two similar, but different, programs that let guests enter the park early. The first is Disneyland’s Magic Morning Entry, available to almost all guests. The second is Extra Magic Hour (similar to that at Walt Disney World) that is only available to on-site guests. Before we get into the best ways to utilize these hours, let’s just make sure you understand which one you are using. One thing I love about Disneyland is that they give everyone the chance (except Disneyland Annual Passholders) the chance to get at least one morning in Disneyland before everyone else. 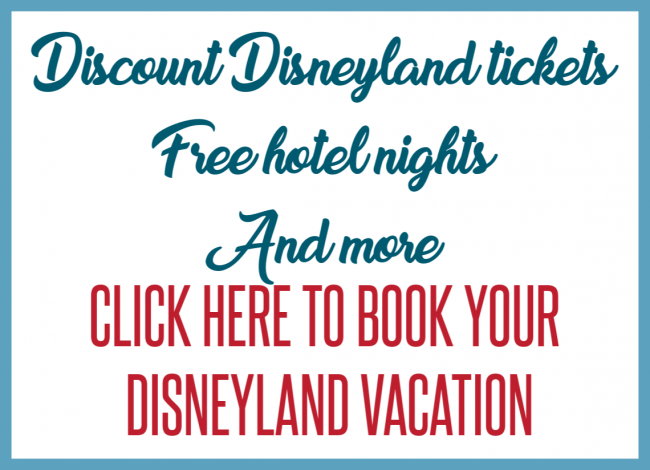 Any Disneyland ticket of 3 days or longer, purchased in advance through Disney or my preferred option Get Away Today includes a Magic Morning Entry. Magic Morning Entry allows the ticket holder to enter Disneyland Park (NOT California Adventure) one hour early, before the general public. Magic Morning’s are usually held on Tuesday, Thursday and Saturday but you will want to check the Disneyland schedule as this may vary during your trip. During Magic Morning, Tomorrowland and Fantasyland will be open to guests to enjoy *most* attractions in those lands. Which day should you use your Magic Morning Entry? 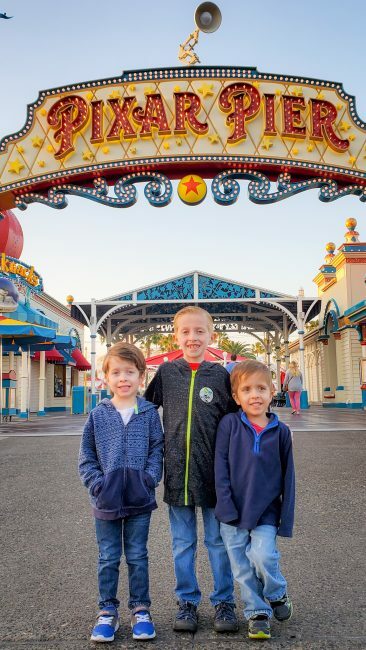 While on-site guests can get early entry every day of their stay, those staying off site and using Disneyland’s Magic Morning Entry will have to choose just one day to enter the parks early. As I mentioned above, Magic Morning is usually offered on Tuesday, Thursday, and Saturday. Which day does Magic Morning start the earliest? If there is a day when Magic Morning starts earlier than the others, that is the day you want to go. Why? Because people hate waking up early on vacation, and so the earlier the Magic Morning, the less likely people are to attend. Which day is easiest for you to wake up early? If all of the Magic Morning Entry hours are the same during your Disneyland vacation, I suggest looking at your own plans to see what day will be easiest for you to wake up. Planning on staying at the park until close the night before? Then you probably won’t make it to Magic Morning early enough to reap the benefits. 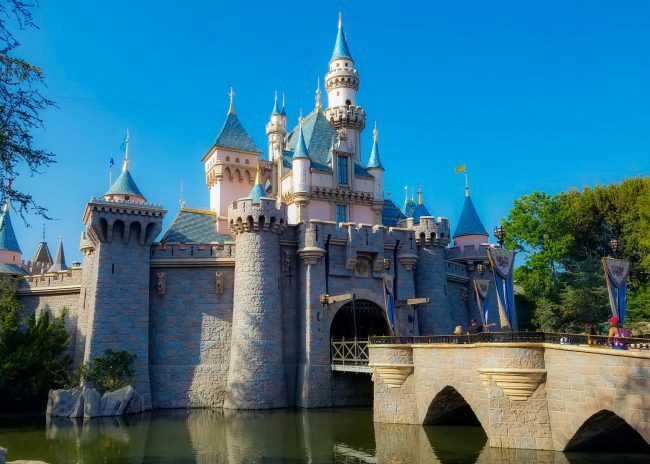 Most locals have Disneyland Annual Passes, which means they do not receive Magic Morning Entry unless they stay on-site (and therefore have Extra Magic Hour). I have found that Saturdays actually tend to be less crowded for Magic Morning as many tourists use the weekend to travel to and from home. While the regular park hours may see more crowds, the Magic Morning seems to be a lot more tame. Of course, just using your Magic Morning Entry is better than not using it at all, so if only one day works for you, use it. You will still find fewer crowds then a normal park day. Guests staying at one of the three Disneyland Resort hotels can enjoy an extra hour of the magic every single day. The early entry rotates between Disneyland and California Adventure. In order to enter early, guests must have a valid park admission (ticket or Annual Pass), as well as an active room key. During Extra Magic Hour days at Disneyland, the on-site guests will be in the park along with Magic Morning guests. On days when Extra Magic Hour is at Disney California Adventure, on-site guests are the only guests in the parks. 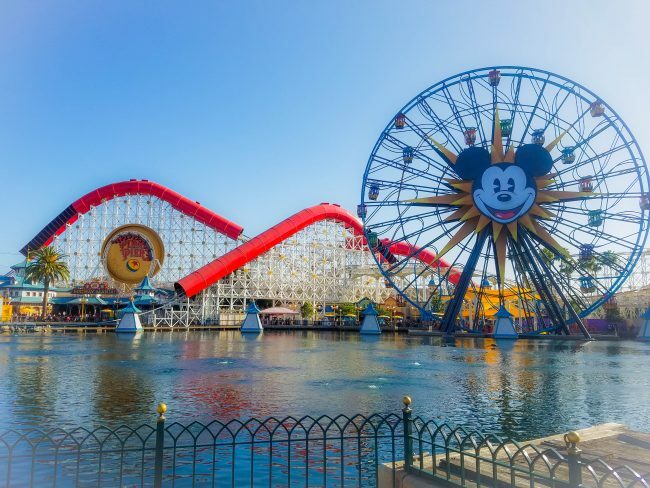 Extra Magic Hour at California Adventure is not limited to two lands, but not all rides are open during Extra Magic Hour. Disneyland’s Extra Magic Hour Tip: You receive this for each day, including check-in day and check-out day. If you arrive at the hotel before Extra Magic Hour starts, register, and you will be given a room key you can use that day. Also, you can go to Extra Magic Hour on check out day, even if you already put your luggage in luggage hold. Now that you know which early entry you have and how it works, I want to make sure you don’t waste that hour on one ride, like I have done in the past. Believe it or not, there is still the need for a game plan for making the most of these extra hours at the park. There are a few tips that you need to keep in mind for both parks, whether using Magic Morning or Extra Magic Hour. How early will depend on if you are going to Magic Morning/Extra Magic Hour at Disneyland or Extra Magic Hour at California Adventure, and what time that extra hour of park time begins. I suggest being at the gates at least 30 minutes before your extra hour of park time begins. If Extra Magic Hour (or Magic Morning) is at Disneyland and starts at 8 am or later, I would probably up that to at least 45 minutes. That means, through security, in line at the gate. You have extra crowds at the Disneyland one, and many that are only getting up early that one day, so they find it easier to be up and at them. Use your time in line to give kids snacks, organize your stroller or bag, apply sunscreen, and more. If possible, have your tickets loaded into the Disneyland App. If this is your first morning, and you have e-tickets, have your vouchers ready to scan. Also be sure to have your Disney account linked to the app and your payment information loaded. Why? 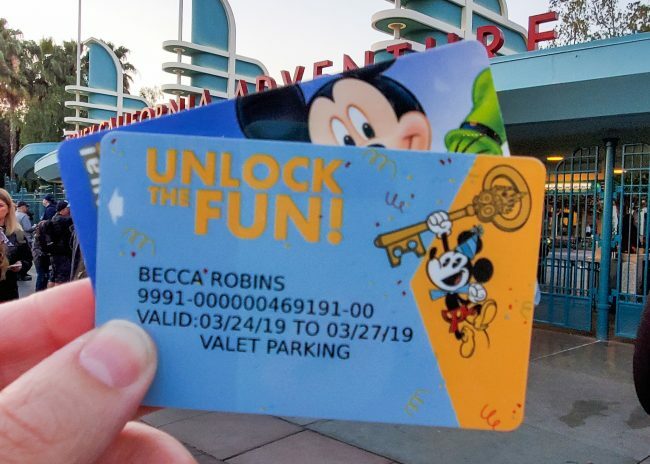 Because, once you scan into the park, even for Magic Morning or Extra Magic Hour,you can purchase MaxPass on the app and begin making MaxPass selections. Have the Disneyland App loaded onto your phone with payment info and tickets linked. Tip: You can make MaxPass selections during Magic Morning and Extra Magic Hour, but return times will be for after official park opening. Know in advance how you plan to use your extra hour in the park. You can waste your entire Extra Magic Hour trying to figure out where to go next. A Magic Morning that only gets in one ride, is not very magical, so be sure to know where you are heading. Where should that be? I have you covered below! 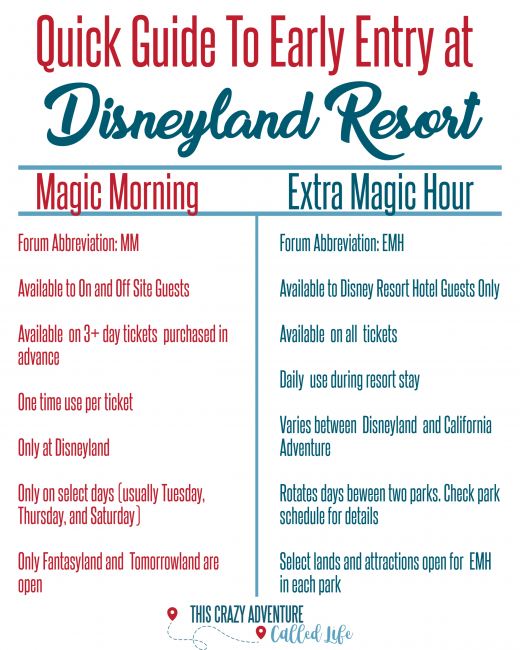 Disneyland Park’s Extra Magic Hour and Magic Morning is probably the easiest to find tips about online. 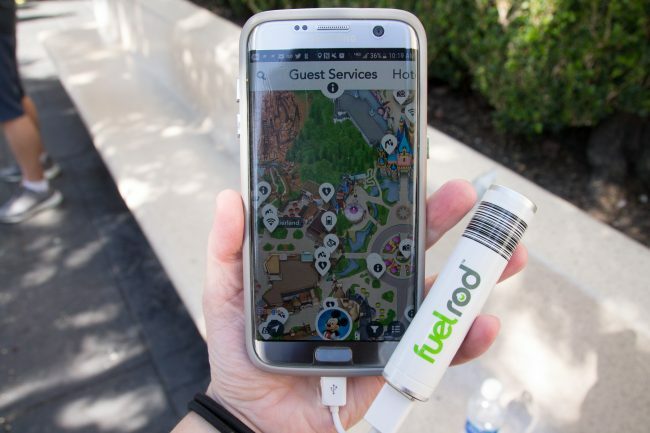 Due to the fact that it can be accessed by any guest with a 3-day or longer ticket purchased in advance, many bloggers have written about this perk and how to make the most of this hour. But, I find that some of those are a bit over zealous or give outdated advice such as “head to Peter Pan’s Flight first.” (Don’t do it!) So I am going to give you the best tips to make the most of this hour, whether you are staying on-site or off. I am not going to spend a lot of time giving tips on this park, as I mentioned there are a lot online, but I do want to give a few. There are two different game plans for those heading to Disneyland’s Extra Magic Hour or Magic Morning. The first is to knock out all the rides that are in Fantasyland, and is a great option for those with little kids. DO NOT head to Peter Pan’s Flight. Unless you are one of the first few to get to the ride, that queue can easily reach 40 minutes within moments of the lining forming, using up your entire extra hour in the park. 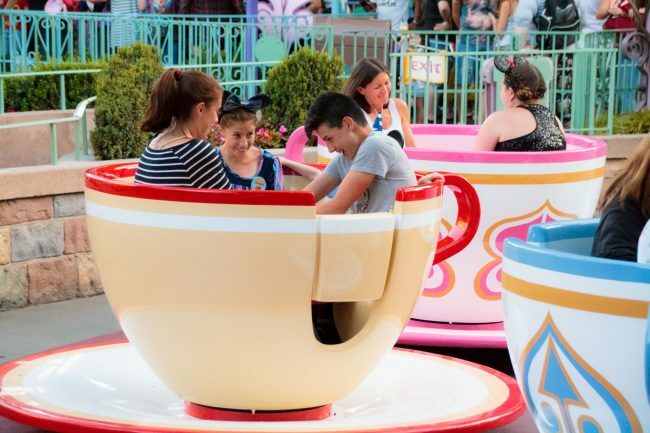 Instead, I suggest starting at Alice in Wonderland (another very popular Fantasyland ride), then taking a spin on the teacups, and Dumbo, before working your way around the other rides. Make sure to hit up Dumbo early during Magic Morning or Extra Magic Hour as the line can get quite long. The second game plan is to knock out some of the popular thrill rides in the morning. For this, I suggest starting with Star Tours, maybe hitting up Buzz Lightyear’s Astro Blasters before heading to Matterhorn Bobsleds, and lastly Space Mountain. Why Space Mountain last? because again, I have made the mistake of heading here first, and using my entire Magic Morning in this queue. 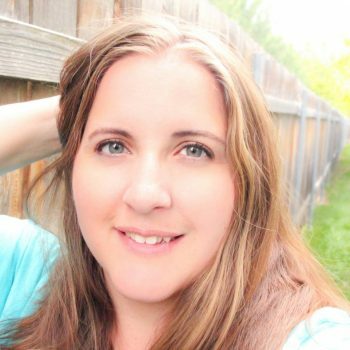 If you are wanting even more help planing out your Magic Morning or Extra Magic Hour at Disneyland, my friend Jessica creates custom Disneyland Plans based on your interests. This is seriously my favorite! I was so stoked to get into California Adventure an hour early during our stay. And not just one, but two days. In fact, we could have done three if we had arrived early enough on check-in day. 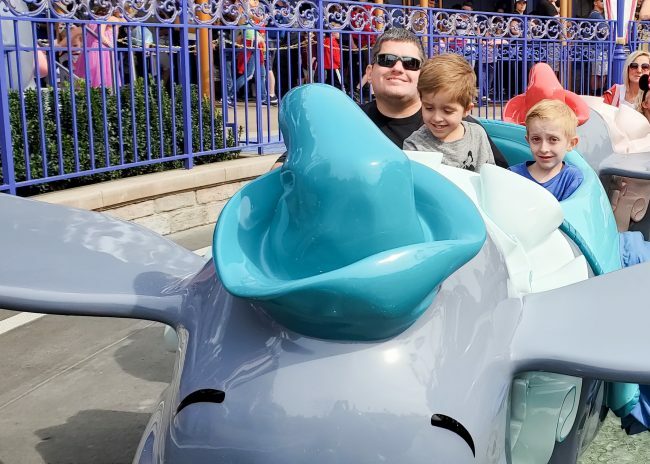 I spent two days studying what other guests were doing, and my family even split up so we could put different plans into action, all for me to give you the best tips for Extra Magic Hour at California Adventure. If possible, I really suggest planning a stay with at least two mornings of Extra Magic Hour at California Adventure. Especially if you have kids that want to do the smaller rides and those that want to do thrill rides. Because unlike at Disneyland, the rides open during Extra Magic Hour at California Adventure are spread out a lot more. Guests staying at the Grand Californian can access the private entrance to California Adventure, but guests at the Disneyland Hotel or Paradise Pier must utilize the main entrance. Our Extra Magic Hours started at 7 am and we were there by 6:40 each morning, and were the 3rd or 4th family in line both days. We were at the gate at least 20 minutes before Extra Magic Hour, but probably should have planned for 30 minutes. 2. Save Cars Land for last. 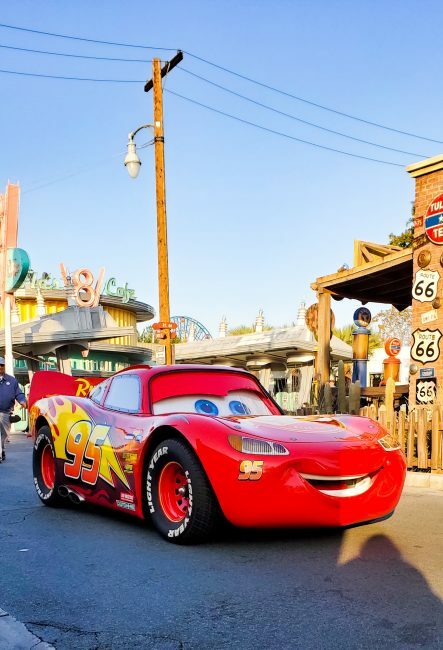 There will be a big rush for Cars Land and Radiator Springs Racers. Unless this is your only goal during Extra Magic Hour I suggest saving this for last. The line quickly got to 30+ minutes. Instead, I suggest heading to Pixar Pier and doing Incredicoaster, Toy Story Midway Mania, and then coming back to Paradise Garden Park, doing Goofy’s Sky School, Ariel’s Undersea Adventure, and then heading to Cars Land, and, depending on time, doing the small rides in Cars Land first before getting in line for Radiator Springs Racers. Save Cars Land for the latter part of Extra Magic Hour or it will use up your full hour. Note that right at general park opening, you will have a sea of people heading to Cars Land and Radiator Springs Racers, so be sure to be in line for that ride at least 10 minutes before park opening. 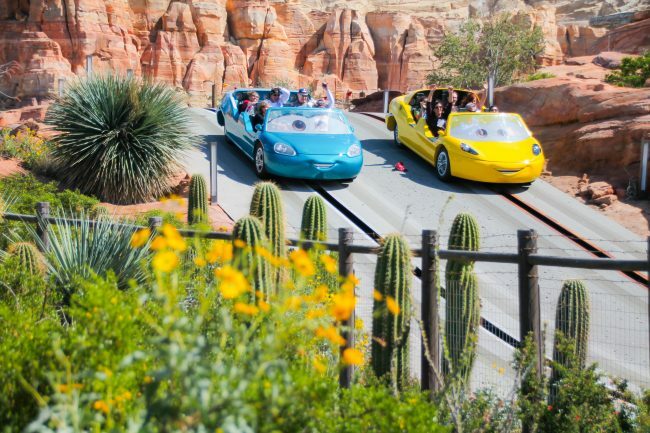 This is why you may want to skip those smaller rides in Cars Land depending on time. 3. Guardians of the Galaxy: Mission Breakout! 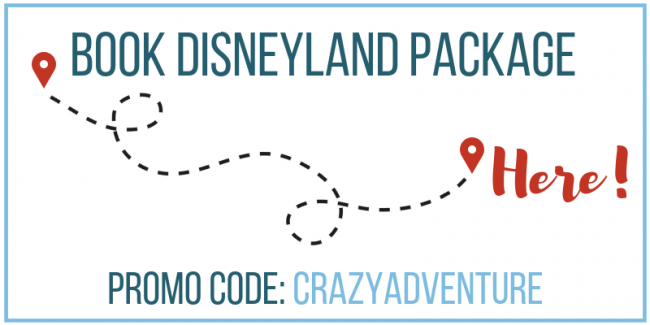 If this is a must do for you,and you really want to get it in during Extra Magic Hour, then I suggest hitting this ride first, and then heading over to Cars Land. The problem with this ride right now is it is so far away from the other rides open during Extra Magic Hour, that it can use up a lot of your time just getting somewhere else. I feel a better plan is to grab a MaxPass for this ride during Extra Magic Hour at California Adventure (or even during Magic Morning at Disneyland) and riding this early in the morning. If you are able to utilize two Extra Magic Hour days at California Adventure, I suggest doing the game plan I mentioned above in Pixar Pier, etc on one day, then the second day, riding Guardians of the Galaxy: Mission Breakout! plus grabbing some pictures with nobody in the background. We got some great shots at Pixar Pier, and they even had some Photopass Photographers out during Extra Magic Hour. We quickly grabbed pictures with nobody in the background during our Extra Magic Hour at California Adventure. After Extra Magic Hour in California Adventure, we actually found we had done almost every ride we cared to in the parks. 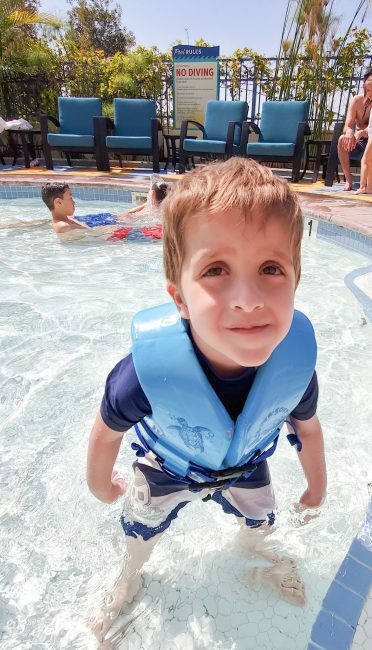 We did a few extra rides at Paradise Garden Park, and then enjoyed the Animation building and Disney Junior Dance Party before taking a break at the hotel for lunch, pool time, and more. Since you were able to get so much in earlier, take a break to enjoy the on-site hotel pools. 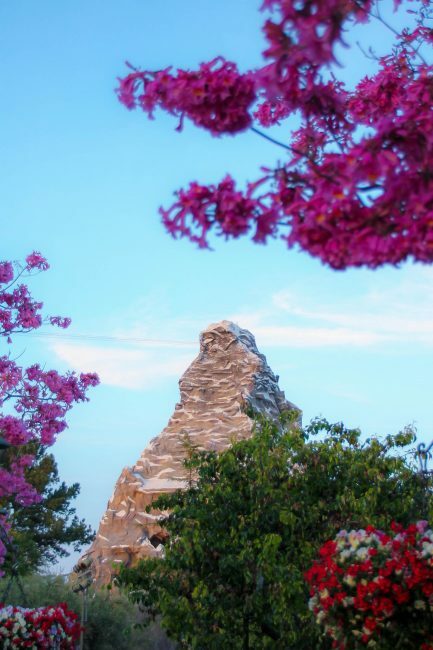 Have you done Disneyland’s Extra Magic Hour at California Adventure or Disneyland Park? What was your experience?